Introducing the Catfish Commando series; engineered for serious catfish anglers who demand unrelenting performance and power. 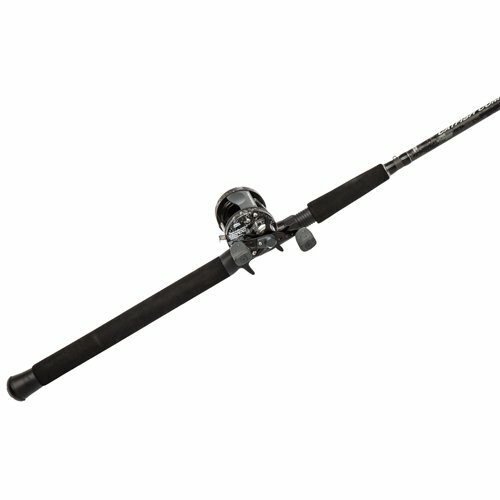 Featuring a balanced 7′ medium heavy rod with high density EVA handles and stainless steel guides the Catfish Commando series is designed for heavy duty applications. With 2 stainless steel bearings, the powerful Carbon Matrix hybrid drag system and a 6 pin centrifugal brake for efficient casting control. Other notable features include a compact bent handle and drag star and a synchronized level wind system.